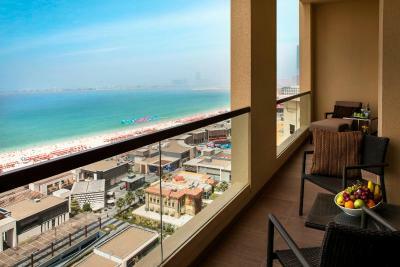 Lock in a great price for Amwaj Rotana, Jumeirah Beach - Dubai – rated 8.5 by recent guests! 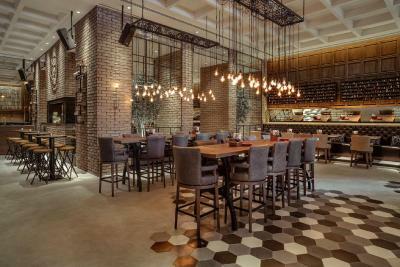 This is going to be my go to place whenever i’m in dubai. It is easy to get to. The location is amazing. The view is amazing. The staff are super friendly and the hotel is clean. Everything was perfect! Location is perfect, at the beach. Nice, friendly staff. Location is flawless. Balcony with cinematic view on the beach. Bed was comfortable. Lobby was fantastic. My wife and I had a very great time Thank you Amwaj Rotana. Will come back for sure!! Pre-arrival customer support from Rotana Reservations team when I have addressed my specific issue, much appreciated. Pool and gym facilities. Several nice onsite restaurants, though bit pricey. Location was great and close to all what you need, Beautiful room View, Delicious Food and nice staff is serving at the property. 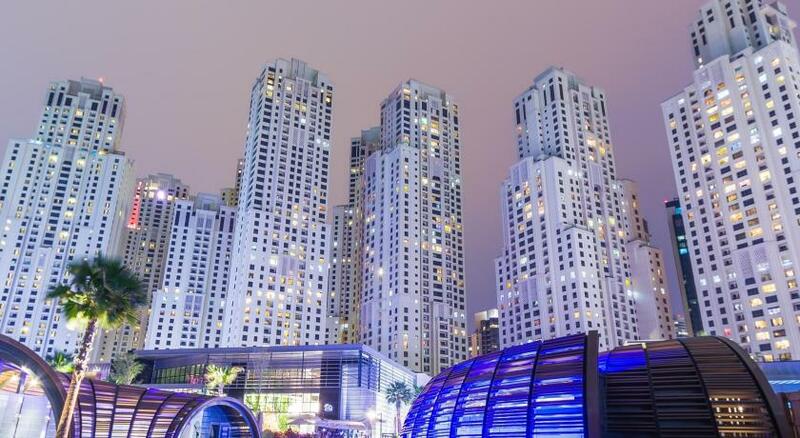 I recommend this property as a perfect place to stay in for spending a good time in Dubai. 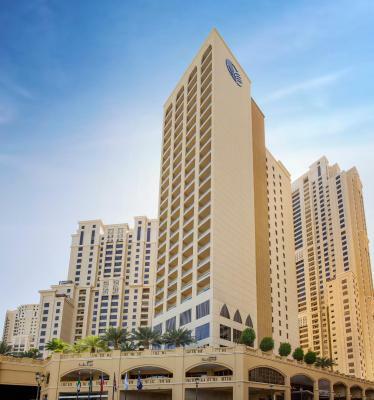 Amwaj Rotana, Jumeirah Beach - Dubai This rating is a reflection of how the property compares to the industry standard when it comes to price, facilities and services available. It's based on a self-evaluation by the property. Use this rating to help choose your stay! 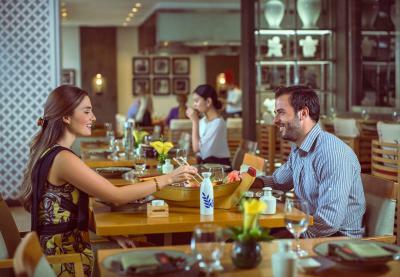 One of our top picks in Dubai.Ideally located along Dubai's famous leisure and retail strip known as “The Walk”, Jumeirah Beach Residence (JBR), you will experience the height of comfort at Amwaj Rotana Hotel. Free WiFi is available in the public areas only. 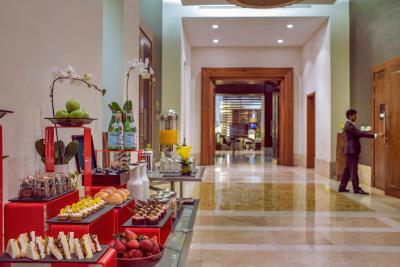 Presenting a portfolio of 301 tastefully furnished rooms and suites including the prestigious Club Rotana offering bespoke exclusive services for guests, Amwaj Rotana Hotel features the largest rooms along JBR each with its own balcony facing the Arabian Gulf and Palm Jumeirah. Each of the rooms and suites also includes high-speed wireless internet connection and a variety of amenities and facilities such as a bathtub, multi-satellite LCD TV and conveniently placed in-room safe. 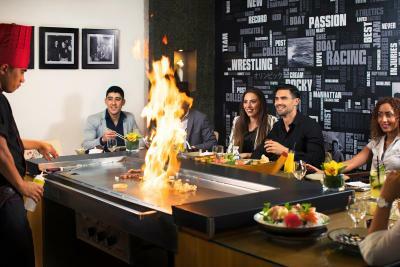 With four great dining concepts offering Italian, Japanese, American, British and International cuisine as well as live entertainment, happy hours, theme nights and more, guests of Amwaj Rotana can expect a fun-filled and exciting gastronomic experience. 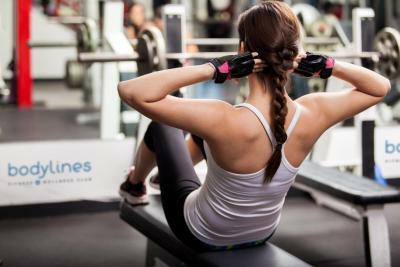 Guests staying at the hotel can access a variety of leisure and entertainment options all within a short walking distance. “The Beach” lifestyle destination which features a children's water park, retail stores such as Hamac, Mac and L’Occitane and entertainment options such as water sports, beach tennis and seasonal sporting activities is just at the hotel’s doorstep. Movie buffs will not miss new releases and blockbusters while on holidays as Reel Cinemas featuring standard screens and Platinum Movie Suites including the luxurious Platinum Lounge is a 7-minute walk away.Easy connectivity to other parts of Dubai is available by the Dubai Tram at Jumeirah Beach Residence 2 station (three-minute walk from the hotel) and the Dubai Metro system at Jumeirah Lake Towers station (also a close walk from the hotel). 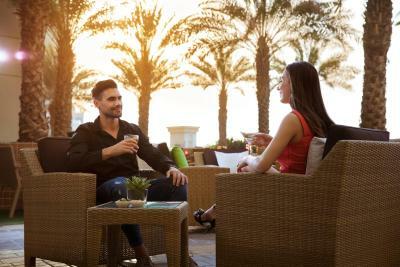 The highlight of every stay at Amwaj Rotana, is the direct access to Jumeirah Beach. Golden sands and crystal clear waters are nothing but a mere 100 steps from the hotel. 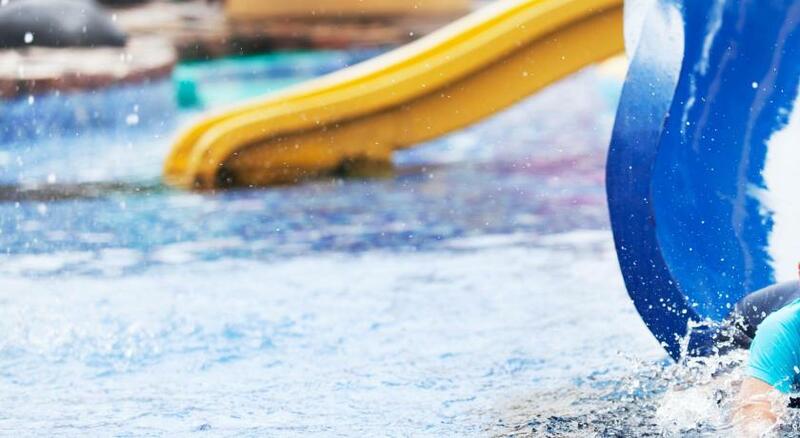 Kids can have a great time splashing around in our temperature-controlled children’s pool fitted with a water slide and pool toys or have a great time at Splashpad, the children’s water park just a five-minute walk away. 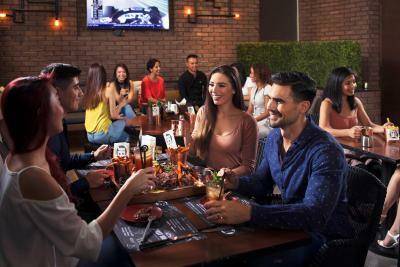 It is also easy to access the malls with families using the hotel’s complimentary shuttle service to the prominent malls of Dubai. 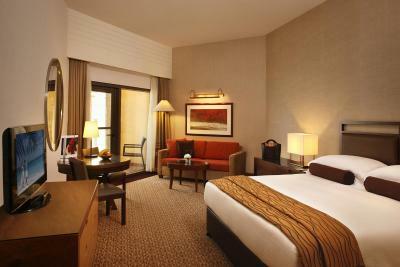 When would you like to stay at Amwaj Rotana, Jumeirah Beach - Dubai? 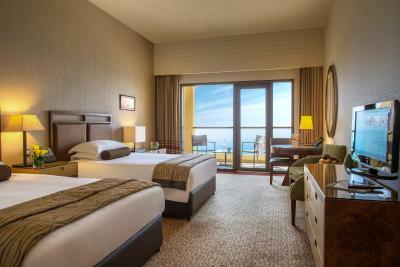 The Classic Sea View Room offers understated elegance and presents a great option for a good night’s sleep. 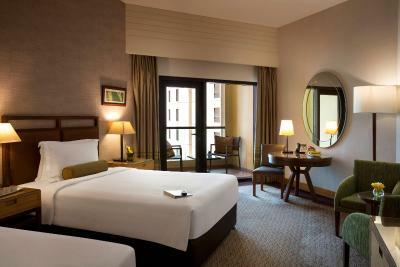 Bask in the comfort of our spacious 42 square-yard room, the largest of hotels along Jumeirah Beach Residence. Tastefully furnished in a contemporary design, each room features a balcony with a partial view of the Arabian Gulf sea and Palm Jumeirah. Nonsmoking and smoking rooms are available upon request. 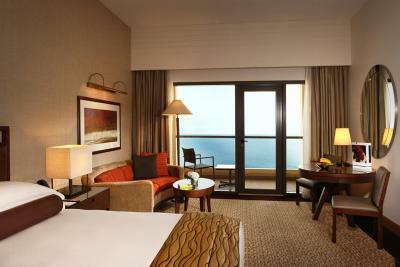 The Premium Sea View Room with its timber interiors and unobstructed views over the Arabian Gulf sea and Palm Jumeirah offers a warm and relaxing ambiance. Measuring 42 square yards in size, this room features an extended lounge area with a two-seater sofa and coffee table bathed in natural daylight filtering through the room’s generous balcony. Nonsmoking and smoking rooms are available upon request. 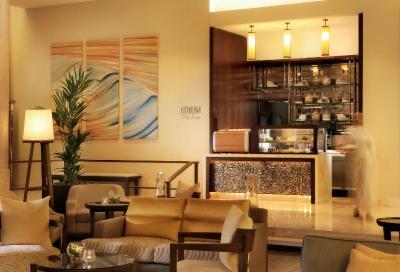 The Club Rotana Sea View Room has been designed in a contemporary décor. 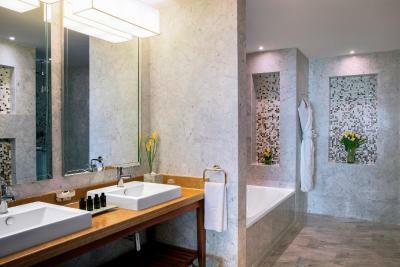 Offering guests spacious living and uninterrupted views of the Arabian Gulf and Palm Jumeirah and pampering amenities including a range of Noir by The White Company bath toiletries. 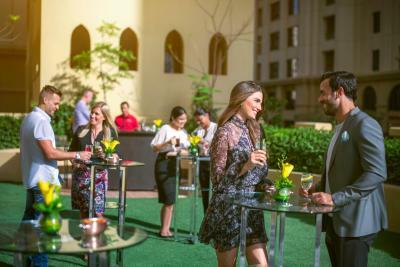 Guests enjoy plush bedding with goose feather duvets and access to the Club Rotana lounge where bespoke services such as private check-in and check-out, breakfast, all day refreshments, afternoon tea and secretarial services are offered. Spoil yourself with our generous 87 square-yard Classic Sea View Suite which promises modern sophistication through its uninterrupted panoramic sea views of the Arabian Gulf sea and Palm Jumeirah. Suite guests also enjoy pampering amenities including a range of Noir by The White Company bath toiletries. Complimentary airport transfers are also available (pre-arrangements are required). The Club Rotana Sea View Room has been designed to ignite your senses with its classical Arabian touches and contemporary décor. Offering guests 42 square yards of spacious living and uninterrupted views of the Arabian Gulf and Palm Jumeirah and pampering amenities including a range of Noir by The White Company bath toiletries. 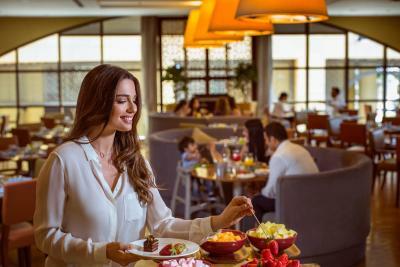 For that extra spot of luxury, guests enjoy plush bedding with goose feather duvets and access to the Club Rotana lounge where bespoke services such as private check-in and check-out, breakfast, all day refreshments, afternoon tea and secretarial services are offered. 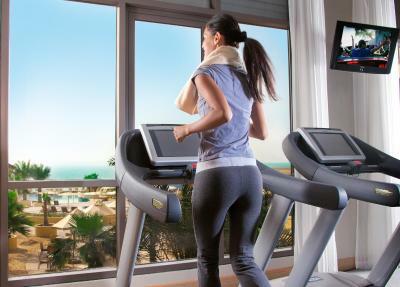 Amwaj Rotana is ideally located in one of Dubai's key touristic zones – The Walk at Jumeirah Beach Residence (JBR). 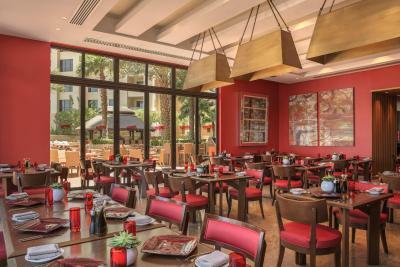 The hotel boasts the largest rooms along JBR each with its own balcony offering views over the Arabian Gulf sea and Palm Jumeirah and is renowned for its award-winning dining concepts offering Italian, Japanese, American, British and International cuisine. 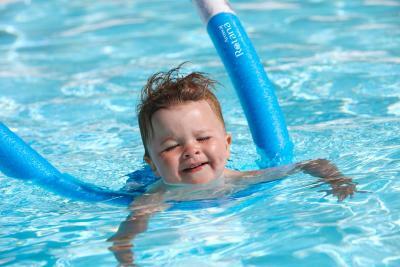 Complimentary WiFi is also available in all public areas of the hotel. 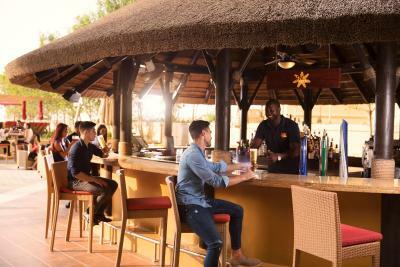 Guests staying at the hotel also stand to benefit from the features around the vicinity such as the Beach Mall which features a children's water park, direct access to Jumeirah Beach, retail and entertainment options. 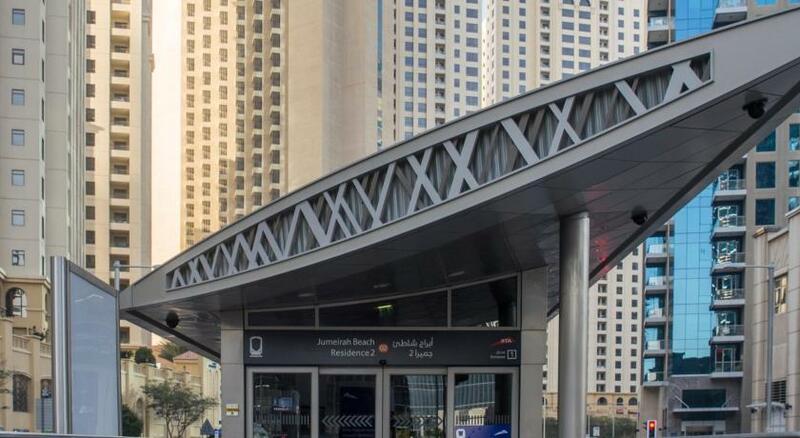 Easy connectivity to other parts of Dubai is available by the Dubai Tram - just a three-minute walk from the hotel and the Dubai Metro system, also a close walk from the hotel. 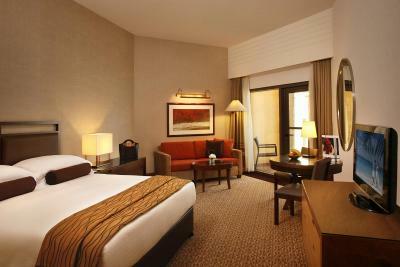 Guests can also jump on the hotel’s complimentary shuttle service from the hotel to prominent malls in Dubai. Hotel surroundings – This neighborhood is a great choice for travelers interested in beaches, relaxation and food – Check location Excellent location – show map Guests loved walking around the neighborhood! 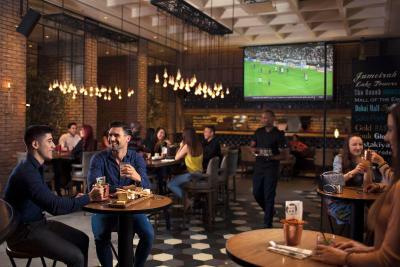 House Rules Amwaj Rotana, Jumeirah Beach - Dubai takes special requests – add in the next step! 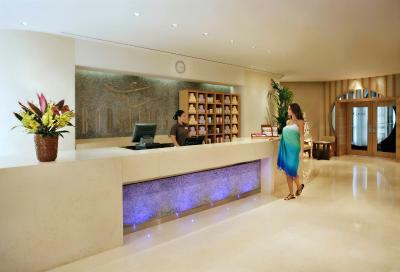 Amwaj Rotana, Jumeirah Beach - Dubai accepts these cards and reserves the right to temporarily hold an amount prior to arrival. The credit card used to make this booking must be produced at the time of check-in. 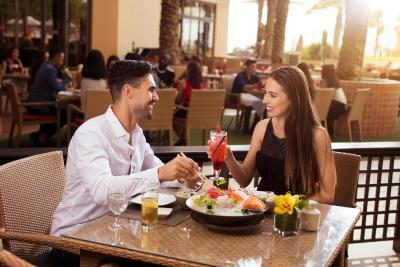 Failure to present the original credit card will result in a separate payment for the entire stay. This amount will then be refunded by the hotel within 2 weeks. 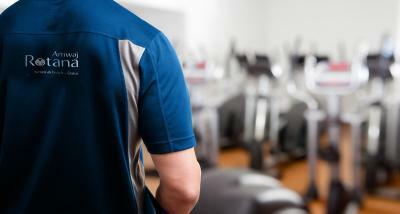 Please note that when booking more than 10 rooms, different policies and additional supplements may apply. The lifts in this accommodation were atrocious!!! 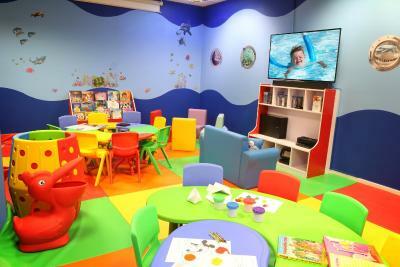 Having more family room with larger accommodation and possibly adjoining room for the children. The room was a little small for a family of 4.
fantastic location with decent sized rooms. We were in room 2507 and which was right next to the lift. The noise from the lift was quite irritating. The location to the beach was fantastic. The bathrooms in the rooms could have been better with a 5 star standard, the rest was excellent. Room service was amazing. Hats off to the cleaning staff, they did a great great job everyday.